The week had been very warm – not unlike what we’re experiencing today. And the inside of the worship space of the church had just been painted, so there was that peculiar smell of oil-based paint in the air. But, by God’s grace, a cold front had come in, and brought cooler weather on May 31, 1994 – nineteen years ago today. The windows could be opened and the space could be aired out. It was a good thing, too, that the air had cooled down, for there would be close to two hundred people file into the pews of Knox Church, Tara, that evening. It would be a warm place, irrespective of the weather. A young man had been educated, and examined by the Presbytery. And that night, he would have many hands laid on him as a symbol of his ordination to the ministry of Word and Sacraments. It was a big step on what would become a lifelong journey. Little did he know the entire scope of what would be involved in all of those responses of, “I do,” and, “I will, God being my helper.” The journey would not be without its bumps and struggles, but it would likewise not be without its joys and blessings. Someone once said that any journey begins with the first step. How often are we afraid to take that first step, because we don’t know what the future holds? In one sense, that’s where faith comes in: faith in the process as it unfolds, and, of course, faith in God to guide and encourage us on the journey, whatever it may be. both now and forever” (Psalm 121.7-8, NLT). Nineteen years ago today, a young man took a big step on the journey of life and ministry. And he still trusts the Lord to watch over his coming and going. Here’s a picture of that young man and his young bride. He had more hair back then! May you have such confidence in the Lord, to trust him to keep watch over everything you do, every step you take on the journey of life. Sometimes, the world seems like a more evil place than ever before. In reality, I imagine it isn’t much more or less evil than in days gone by; it is our technological advances that enable us to know more about what’s going on in the world, thereby drawing our conclusion about evil. Nevertheless, this has drawn out fear in some people. The Bosma case, about which I wrote last week, is an example of this. Advances in information sharing arguably led to Mr. Bosma’s abduction (because he was selling a truck online) and to our knowing about it (through mainstream and social media). One could argue that the advent of terrorism, of which we rarely spoke in the past, has come as a result of how much we can know and how quickly we can know it. And terrorism, if you think about it, has its root in fear. Terrorism is commonly defined as the use of violence and intimidation for political gain, but if you break it down, terror itself is extreme fear. Those who engage in terrorism are trying to make people afraid – afraid enough to give in to what the terrorists want. Terrorism, then, doesn’t just happen with guns and bombs and planes and land mines. It can happen even with words alone. And because we have greater access to more words than ever before in the history of the human race, it has become easy to terrorize people with words. Fear is struck into many hearts as a result. What do you fear? It’s a good question to ask oneself. The root of our anger is fear, and in extreme cases, we are driven to do whatever we do in life by fear. But that is not God’s plan for us. In 1 John 4.18 we read that “perfect love expels all fear” (NLT). The deeper we grow into the love of God – which is perfect love – the less fear we will have. 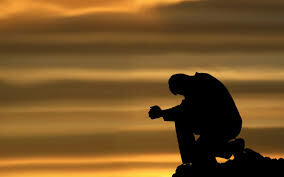 The Psalmist wrote, “God is our refuge and strength, always ready to help in times of trouble. So we will not fear when earthquakes come and the mountains crumble into the sea” (Psalm 46.1-2, NLT). And who can count the number of times Jesus told us not to be afraid? Easier said than done, right? Fear is one of the devil’s great tools against followers of Jesus. Face your fears head-on, mindful that you have the Creator of the universe going ahead of you and behind you (Psalm 139.5). Give them to God in prayer, but don’t take them back. Let God’s perfect love drive out your fears. This might not all happen at once, but as the Lord works in your heart, you will find your fears replaced with God’s perfect love. There are many baseball analogies that have crept into regular English conversation; some of them work well in the life of faith. In this message, based on John 3.1-21, I speak about what it means to “slide into home” – to be saved by God’s grace. Listen to it by clicking here. 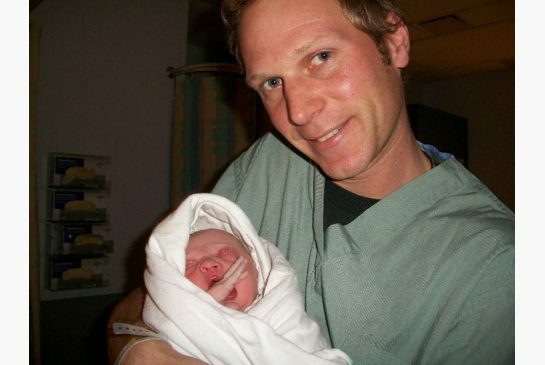 The death of Tim Bosma recently has been a sad story to hear, and to see unfold. Bosma was a man from Ancaster, Ontario, who mysteriously disappeared while accompanying two men who had come to test-drive a truck he had put up for sale. His body was found, burned beyond recognition, on a farm near Ayr, Ontario. So far, one man is under arrest for his murder. By all accounts, Mr. Bosma was not a typical murder victim. He was a man of Christian faith, active in his church community, and not involved with the ‘wrong people’. Why was he killed? For many people, even seasoned believers, prayer is something that happens at meal times, maybe at bed time, maybe for a few minutes before the morning rush ensues. But few of us take much time for this rich and important fellowship with the Lord. If you’re one of those for whom time in prayer is limited, you’re in good company: even most pastors do not spend much more than 5 minutes a day in prayer. That said, such ‘good’ company is auspicious indeed. What kind of relationship would we have with our spouses if we spent only 5 minutes a day in conversation with them? Not much, right? So why does God get crowded out of our lives in terms of the priority of time? Perhaps one reason is that we cannot see God, at least not in a physically obvious way. “Out of sight, out of mind,” we might say. Another reason God gets crowded out of our lives has to do with his character: God is patient. Because God is Creator and we are the creation, God has no need of us, so he has no reason to beg us to be in relationship with him. Yet God wants to be in relationship with us, so he finds subtle ways to invite us into his presence. Can we slow down enough to take the time to notice God’s subtle invitations, and respond? We seem almost to wear it as a badge, don’t we? Someone asks, “How are you?” and we respond, “Great. I’m really busy.” Yet even the most noble tasks – even the most godly tasks – which make us too busy to spend time with the Lord need examination by us if we are to carve out time for our Maker. It doesn’t have to be complicated. And it can start simply. There will be interruptions, but as one person has suggested, consider each interruption yet one more opportunity to return to God. Start with five minutes a day, and add a minute each week to your prayer time. Even if you find you don’t have enough to say to fill the time, sit in the silence. Let God speak to you, or just enjoy the silence with God as your Companion. “Rise up, my darling! Come away with me, my fair one! Look, the winter is past, and the rains are over and gone. The flowers are springing up, the season of singing birds has come, and the cooing of turtledoves fills the air. The fig trees are forming young fruit, and the fragrant grapevines are blossoming. Rise up, my darling! Come away with me, my fair one!” (Song of Songs 2.10-13, NLT). This week, I have been participating as a counsellor at a discernment event for potential ministry candidates within my denomination. It truly is a privilege to get to know these people and to hear their stories of God’s call on their lives. 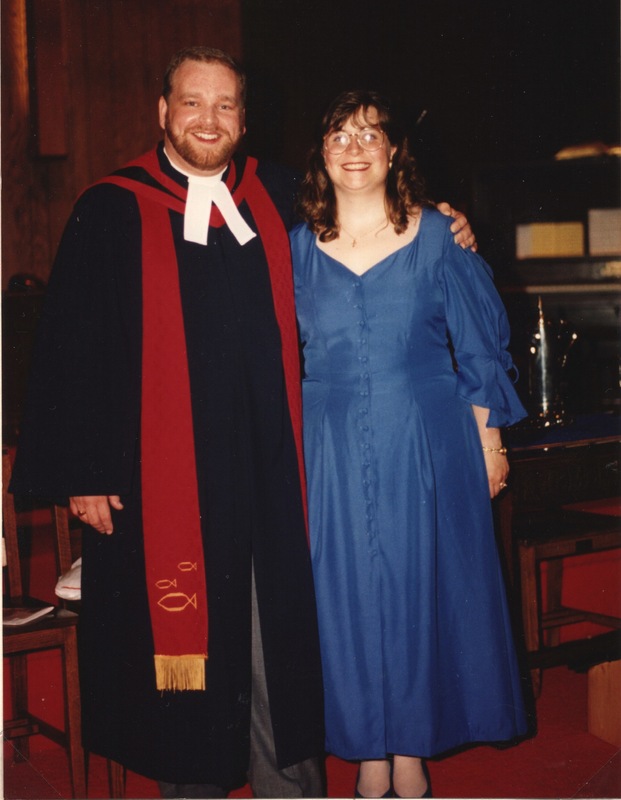 In my tradition, The Presbyterian Church in Canada, we require that people seeking to be ordained to the ministry of Word and Sacraments not only attend seminary and learn their intended craft, but that they spend time figuring out what their sense of call really means. What saddens me is that in most branches of the church, we limit this discernment process to future pastors. What if all of us were to engage in discerning God’s call on our lives? After all, at least among Protestants, our theology is pretty clear: God doesn’t just call clergy, he calls every believer to his service. But do we all stop to ponder what it is that God is calling us to do? Often, we let others – or the church’s needs – dictate what we do in the service of the Lord. We give in to the “warm body” syndrome, taking positions of service or leadership in areas where the need is made known. But does this always align with how God has equipped us to serve him? I encourage everyone to take an inventory of their spiritual gifts. (I offer seminars on this for those interested.) Take a look at Romans 12, 1 Corinthians 12-14, Ephesians 4, and 1 Peter 4 to get a sense of what the Bible says about the array of spiritual gifts that God gives to believers. The Lord wants us to serve the way he wired us up to serve. Yet too often, we don’t take the time to consider what that may look like – we just barge in where the need arises. Frankly, sometimes we need that ‘barging in’ approach, but it’s always best if we examine how we are equipped by God to serve before we volunteer. Discernment can be challenging, because it often requires that we say ‘no’ to something good, in order to say ‘yes’ to something better. And God always desires us to say ‘yes’ to the better thing that he sets before us. How are you serving the Lord? Is it energizing or draining? If it’s draining, consider discerning your gifts and praying over your service to God. If it’s energizing, congratulations. Continue doing what God has planned for you! “Then I heard the Lord asking, ‘Whom should I send as a messenger to this people? Who will go for us?’ I said, ‘Here I am. Send me’” (Isaiah 6.8, NLT).